Cuisine of every region is centred mostly on the food items available in and around its vicinity. Most of the recipes in the coastal areas are seafood based. It is also customary to use the flavours existing locally. Lakshadweep, the island territory in India too follows this trend. Today here we will talk about five best sea foods to eat at Lakshadweep. Lined with copious coconut groves, its nuts are abundantly used in the culinary here. The cooks use it in their dishes in different forms like oil, flakes or just ground. A variety of fish, squid, prawn, crab, lobster et al go into the making of some sumptuous dishes on this archipelago. Whatever the setting a tourist is while in Lakshadweep, like a luxurious hotel restaurant, a homestay, a tent, a local residents home or on board a boat or ship, he or she can be sure to be treated to some lip-smacking seafood delicacies during the stay here. Most of the dishes are very simple to make and served with love and a helping of coconut water these aromatic fares taste really great. Let’s find out a few of these mouth-watering treats. In our list of five best sea foods to eat at Lakshadweep, this one tops. This is one of the seafood delicacies to have while in Lakshadweep. 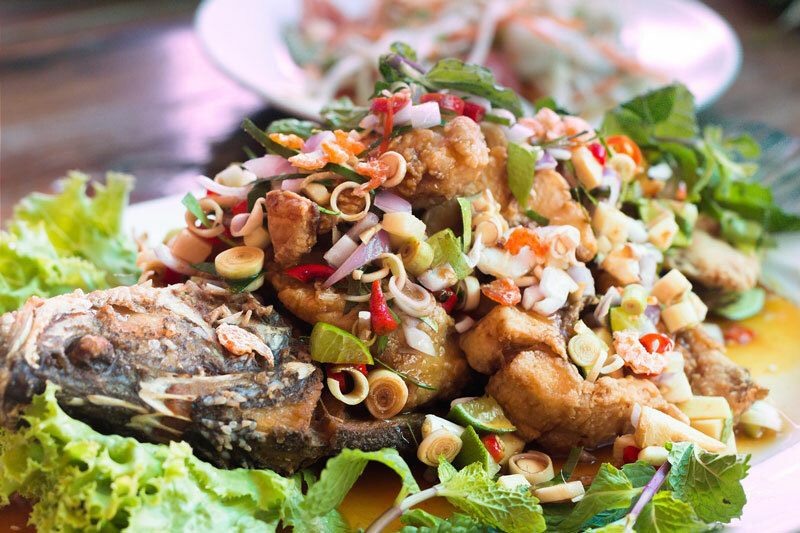 Usually boneless fish-mus is used for this dish. 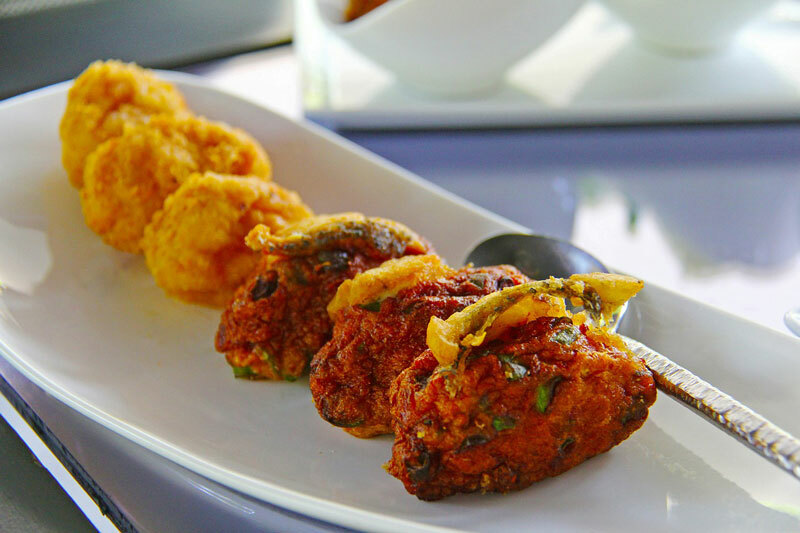 The fish cubes are marinated with a paste made with ground coconut, turmeric, chilli powder, coriander powder, cloves and cardamoms. Then these pieces are cooked with sautéed onions and flavoured with curry leaves, tomato juveniles and salt. This curry-kavaab served hot with rice or roti this fish curry tastes delicious. It is included in the menus of several eateries or restaurants here. Second in our list of five best sea foods to eat at Lakshadweep , this is a common cuisine of the islanders and usually one of the options on a few of the restaurants’ set menu here. The baby octopus is the main ingredient of this dish. Coriander leaves, garlic, green chili, and salt are all mixed well and a sauce is prepared from it. 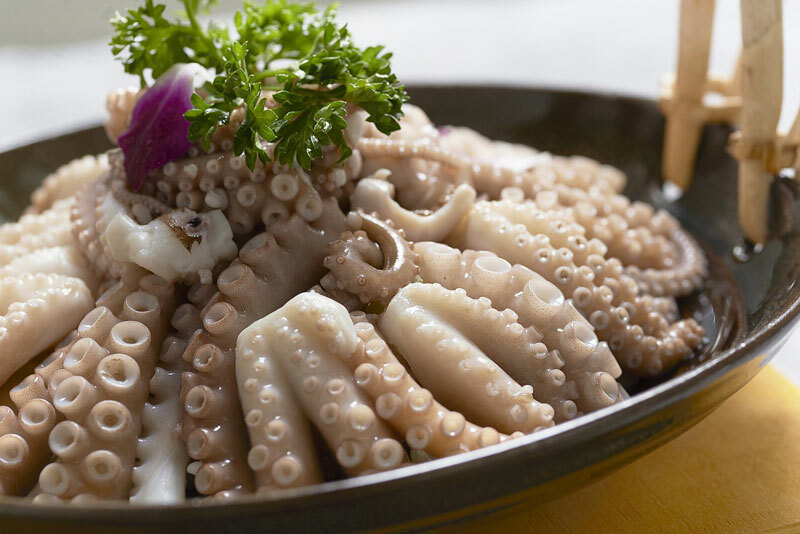 Octopus is cleaned and its tentacles are cut and fried in oil till they turn crispy. Fries served with this sauce make for a good snack or a side dish for lunch or dinner. This is usually served as a starter and it goes well with a fish thali that comprises of rice, fish curry and papad. Fish is cleaned and then marinated with a mix of yoghurt, chilli, salt, ginger, garlic and cloves. 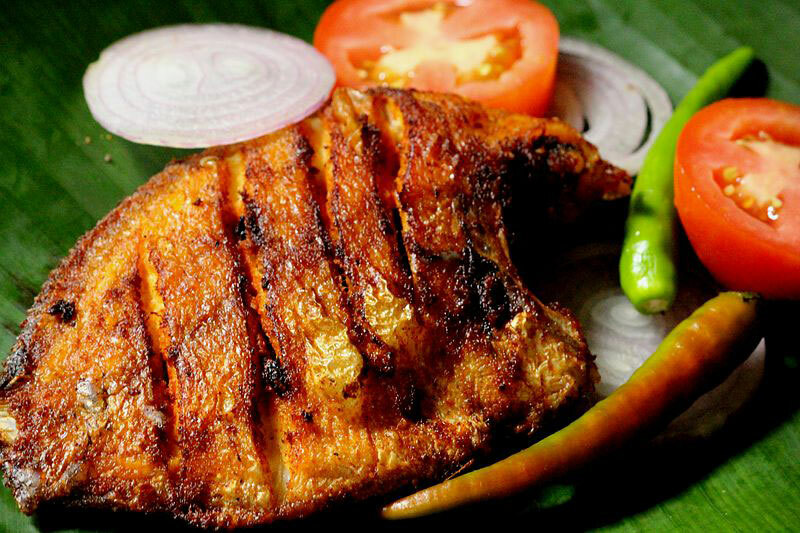 Then it is grilled in a tandoor or on a grill with the help of a skewer till it is crisp. It is also served in restaurants or it is made to order in some homestays where there is a facility of grilling or tandoor. This is ranked third in our list of five best sea foods to eat at Lakshadweep. Reaching to fourth position in our list of five best sea foods to eat at Lakshadweep, this is a snack item commonly served in many outlets here. It is made to order in the kitchen of some tented cottage stays too. Fish, usually boneless ones are cut into cubes and marinated with salt. Then deep fried dipping into a paste made with gram flour, chilli powder, turmeric and salt. Eaten with chilli or tomato sauce its taste will linger in your mouth for a long time. It is a good starter or side dish for lunch or dinner too. Made usually when no fresh catch is available. Maasu is dried tuna in local parlance. One or two dried fish are taken and cut into fine pieces and then mixed with grated coconut, finely chopped onion, garlic and ginger, turmeric powder, chilli powder and salt till all the ingredients gel with other very well. This mix is then served with rice, roti or chapatti. Usually this comes in handy when you have guests and you have no stock of fresh fish and other vegetables. When a trip takes you to Lakshadweep do not forget to taste these and many more dishes in the restaurants here. You can mingle with the locals and taste some of the home-made fare too. Carry back some dried tuna on your return and try their recipes at home. Rohit Agarwal a blogger and traveller travels extensively and gathers information about different places and updates his blog http://www.transindiatravels.com. The likes of you and me are largely benefited by this hard work of his.